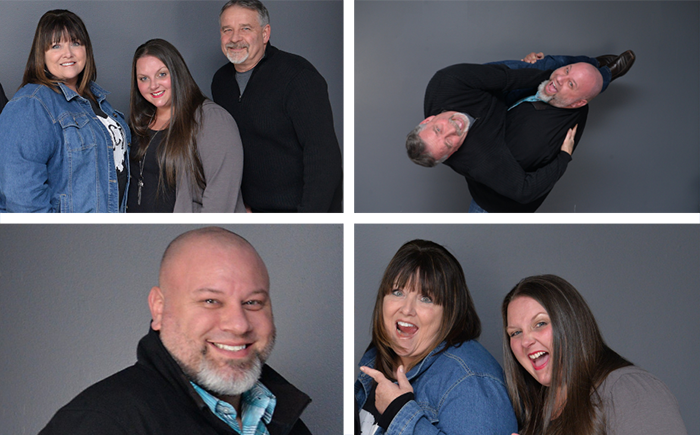 The Lewis Clark Insurance team cares about you like family! We understand that you have a choice and we are thankful you've chosen to partner with us. We humbly represent three generations of honesty, integrity and strength providing you with the best customer experience possible at all times. We developed the Lewis Clark Insurance Promise as a guiding principle for our agency staff and future team mates. It serves as a constant reminder your experience with each staff member should be one that lets you know that you matter. If we miss the mark, we want to know. Unlike a call-center representative, or captive insurance company who only sells it's own proprietary products, our agency is 100% independent. This means we offer advice that is objective, and coverage that is flexible enough to fit the unique needs of you, your family, or your business. When you call our agency we promise to answer the phone as quickly as possible, routing your call to an agent that will be able to assist you with your service needs or questions. If you happen to go into our voicemail center during normal business hours, we promise to call you back within 60 minutes, at the longest, after you’ve left the message. We promise to provide the latest tools for you to be able to connect with our agency. We understand that keeping up with the every-changing connection options in today's fast paced world is vital. As a third generation family business, we truly understand the importance of family and want you to feel the same way. You truly matter to each of us! Our agency represents a wide range of some of the best insurance companies. We shop your insurance for the best coverage options at competitive prices. We understand Insurance can be complicated. We promise to take the time to make sure you understand your options and coverages. We don't work for an insurance company, we work for you, we solve your problems, and answer your questions. We know that anytime a claim occurs our it can be an extremely stressful time. Our agents promise to walk your through the process with you from beginning to the end. Our Core Purpose: We promise to work diligently, with passion and purpose; delivering insurance experience like no other. Our Mission: Striving daily to be the most transparent, responsive, independent agency in Ohio. Reinforcing and recognizing the importance of our trusted relationship with our clients, our future clients, our community and our business partners. Our Vision: To be recognized all throughout the State of Ohio as an Independent Agency Leader by our clients, companies and peers, in the independent and captive agency market. • Purposely delivering an incredible customer experience. We want a real relationship with our clients. We want to know what’s important you. Anyone can be an insurance “order taker”. We want clients who value the advice and service we offer. Our family has always loved serving others. Since my father, Lewis Clark, opened his little grocery store in Hickman, Ohio, we have provided a different kind of experience. Whether it was pumping gas, bagging groceries, or just taking a moment to listen to the needs of one another; Lewis (dad), strived to make a difference in the lives of everyone. Lewis carried this culture into his insurance agency. One client at a time, he listened to their individual needs. Today we continue to do the same; carrying on a legacy that has been ingrained into the fibers of our culture. We are here for you today and tomorrow! Through the good times and not so great times; Doing life with you is what we do best. Experience the Lewis Clark Insurance Agency difference.